737 is a high quality, mid-range hybrid with the traits of a large off-white hybrid while retaining the flexibility of the smooth white hybrid. 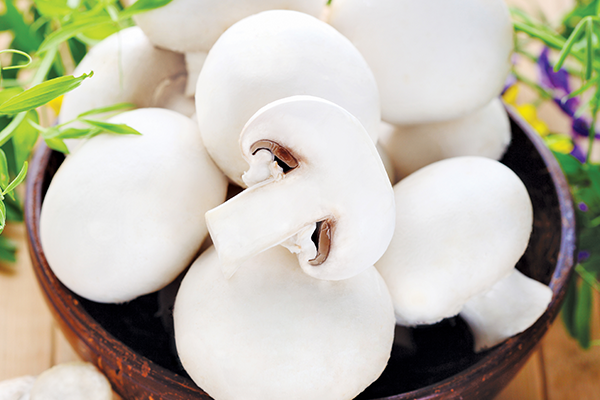 Sylvan mid-hybrids produce medium to large mushrooms of good quality and high yield. Under proper growing conditions, 737 can be larger and denser than any other in the mid-range hybrid class. 737 grow best in consistent, good quality active compost with a good differential between air and compost temperature but are tolerant of compost variation. The target for water content at filing is 66%. The compost should be supplemented at between 1 and 1.5 kg/m2 and the shelf lined with plastic in order to maintain compost activity in later flushes. This strain yields superior performance in well-managed compost with dense casing layers.